CEDAR RAPIDS, IA, April 27, 2017 – The NSCA Education Foundation is excited to announce the Drunk Unkles’ first 2017 fundraiser, scheduled for Wednesday, June 14, at Orlando’s BB King’s Blues Club. Now in their 12th year of supporting the NSCA Education Foundation, the Drunk Unkles have generated more than $1 million through this annual event. Dubbed “Being good isn’t always easy,” the Drunk Unkles concert kicks off InfoComm again this year. Tickets for the event can be picked up at designated sponsor booths during InfoComm 2017, or downloaded at www.nscafoundation.org or www.drunkunkles.com. 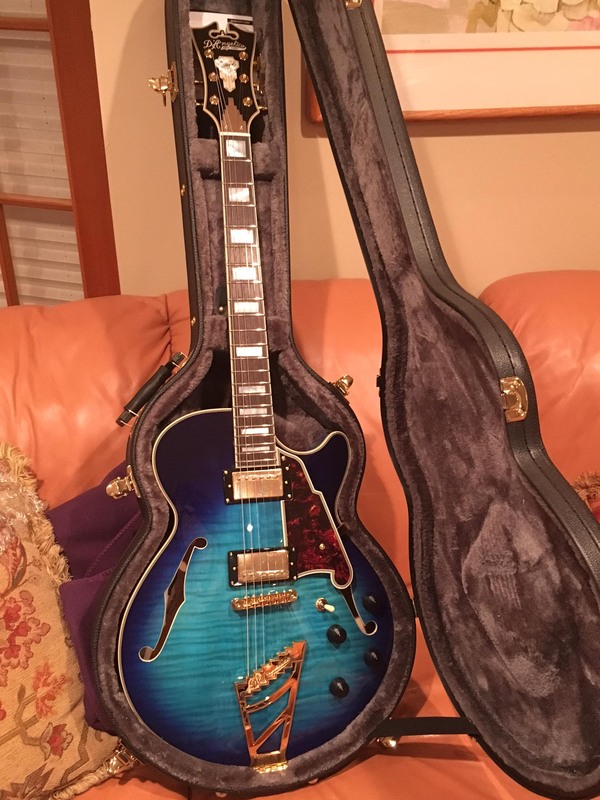 For the first time – and thanks to the generosity of Cleerline’s Rob D’Addario – the Drunk Unkles will auction off a versatile D’Angelico guitar, which features the latest D’Addario strings and accessories. The funds raised from this auction will be donated to the NSCA Education Foundation. Donations from industry professionals, manufacturers, consultant firms, dealers, distributors, rep firms, and integrators as part of this annual event have allowed the NSCA Education Foundation to establish meaningful and impactful programs, offer scholarships, and provide training opportunities for new professionals and industry veterans. Sponsors for this year’s event include Advanced AV, AVNation, Barco, Chief, Christie Digital, Cleerline, Commercial Integrator, D’Addario, D’Angelico, Da-Lite, EloTouch Solutions, FSR, Harman, Herman Pro AV, Liberty AV, Milestone, NEC Display, rAVe Publications, Sharp, Solutions360, Stewart Filmscreen, SurgeX, Synnex, West Penn Wire, and Winsted. Their support helps fund industry programs such as IGNITE and Partner Alliance for Safer Schools (PASS K-12). The Drunk Unkles all-star band features Felix Robinson of AVI-SPL, “Unkle” Steve Emspak and Marc Hochlerin of Shen Milsom & Wilke, Mike Phillips of Hudson Marketing Inc., John Cardone of Cardone Solomon and Associates, and “Aunt” Lisa Wenger, formerly of Bosch Communications Systems and now with the Lisa Wenger Band.